During the 1920s, Dane Rudhyar used a slightly different form of name - Zahaz D. Rudhyar. The Work and Aims of a Theosophical Lodge was written during a troubled time of great opportunity, both in the world and in terms of the development of the Theosophical Movement, inaugurated 50 years earlier by H. P. Blavatsky. During that period, Rudhyar was much involved with musical and theosophical activities. Within a few hours of arriving in California in 1920, Rudhyar met a great theosophist, B. P. Wadia, with whom he became closely associated. The article was written while Rudhyar was still a young man, and, like his other early theosophical articles, it shows the influence of B. P. Wadia, both in thinking and locution. Nevertheless, The Work and Aims of a Theosophical Lodge features original themes which Rudhyar significantly developed throughout his life. The articles shows a very early use of the word wholeness in a metaphysical and philosophical sense, and in it Rudhyar also presents the seed analogy, which he developed and drew largely on throughout his life. Additionally, the article presents the theme of the Holy Pentagrams, which Rudhyar later developed fully in Occult Preparations for a New Age. During 2001, CyberWorld Khaldea will open an online archive of the works of the great theosophists, such as H. P. Blavatsky, Damodar, W. Q. Judge and B. P. Wadia, whose life and work profoundly influenced Rudhyar. Later in life, Rudhyar greatly broadened his philosophical, metaphysical and theosophical outlook. His early theosophical articles, while valuable and of great interest, should not be taken as Rudhyar's final statement on the subject. A Theosophical Lodge (or a Theosophical Society) should, by virtue of its very name, be an embodiment of Theosophy, that is, an organism able to manifest, in its collective life as well as in the individual life of its members, and to radiate into other organisms; THEOSOPHY — in the same way in which man, if he be a great and powerful factor in society, must needs be the impersonification of an ideal or set of ideals, and a center wherefrom the magnetism of this particular ideal radiates, influencing the lives of his fellow-men — individually — and the culture of the social body of which he is a member — collectively. The ideal makes the man. THEOSOPHY makes the T.S. Lodge in its ideal form. If a Society or lodge, calling themselves "Theosophical," do not embody nor radiate THEOSOPHY, they are counterfeits, which in the world of business would be punished by the laws, which the Great Law of Karma must, sooner or later, take into account. What then is THEOSOPHY, this ideal or soul, which all Theosophical organisms, societies and lodges alike, must incarnate and impersonate, if they be true to their name and honest towards themselves? Theosophy, as a system, cannot possibly be understood except the nature of man, as a complex and Trinitarian being be first grasped, except the two streams of evolution that concur to make the present Man be firmly apprehended. Man (male or female) is first — in time — a part of a great compound Center of energy, or Being, which we call a Planet. A Planet, as all organisms do, passes through successive cycles of manifestation and non-manifestation, that is, incarnates over and over again. Our Earth-Chain is the present incarnation of that compound center which, in its last incarnation, constituted the Moon-Chain, the last remnant of which is seen in the present globe which we call the moon. As a fragment of the Earth-Center as Man is, therefore, the re-apparition of an analogically related fragment of the Lunar Center — and by fragment is meant here: a little center within the Great Center. In other words, a human being is at first the reincarnation of a lunar entity. This entity has reached a certain point of development at the end of the Moon-Chain; it will progress further — normally — during the Earth-Chain. During the Moon-Chain it has learnt to response to the cosmic vibration 3, for instance. It has embodied up to a degree of relative perfection a certain Cosmic Principle; it has embodied the life of a certain Logos to the limits of its responsiveness. Now, as it appears upon the soil of primeval Earth, it is working towards a new, higher goal, towards the manifestation of the next cosmic vibration, or principle; that is, following the previous example, the vibration 4. This human entity, center within the great Lunar Center (monad within the great Lunar Monad) as it reappears in the Earth Center, manifests as a Human Personality, that is a compound entity composed of 3 elements, or developing, both successively and simultaneously its three aspects: knowledge, love and activity. This human personality is said to represent the watery element in Man, and to be devoid of fire, that is to say of the principle of self-immorality, which principle is the characteristic of the Soul. Up to the middle of the Third Root-Race human beings were solely human personalities, and no fire dwelt in them. Then, as the Fourth Race was near its preparatory stage, that is, as the vibration 4 was nearing its period of definitive manifestation with the Earth-Chain (in this 4th Race of the 4th Round), a new vibration was superimposed to the fundamental note of Earth. The vibration 5 thrilled through Space from some planetary Center within the solar orb, and, breaking through all the globes or layers of our Planetary Chain, TOOK FORM upon our Physical Earth, giving its baptism of fire, its Soul to our Planet, to our Humanity. This "form" taken by the new cosmic vibration, its synthetic reality, 5 (as a treble potentiality), the Holy Pentagram, SANAT, becomes multiple. The Root of all knowledge and spirituality became the Tree, became the "Undying Race," the many Pentagrams, the Wise Ones, the "essential soul" of Humanity. And not only did the Holy Pentagrams take form, in order to manifest upon Earth the Archetypal Reality of the Vibration-form, the mastery of which they had attained in the previous cycle or system. but they gave to all the evolving human personalities (which then constituted earthly humanity) sparks of their Fire, emanation from their own essence. Thus to every personality became attached (symbolically speaking) a soul-germ; in the personal-human soil were planted SEEDS, seeds, whose key-vibration was therefore 5 — in other words, potential Pentagrams. This occurred for this reason: had human personalities been left alone in their effort fully to manifest the vibration 4 of the 4th Root-Race, they would have failed, because of the influence of the Past, or their Lunar past, dead, yet alive in them, as the powerful force of Inertia, ever resisting motion, that is, progress. This power of Inertia, this pastward attraction had to be neutralized, or else failure was certain. Such is the Law, which Law is in fact the Law of Sacrifice; for the power of Sacrifice alone can neutralize the forces of Inertia. The attraction futureward neutralizes the attraction pastward. No such neutralization, however, is possible except beings who are the future descend into the present to redeem it from the thralldom of the Past. Mathematically speaking (n) can only progress toward the condition of (n+1) when (n+1) descends into (n) to fight there and neutralize the influence of (n-1). For a Pentagram to descend into the sphere of the tetragrams (viz., Lower Quaternary of Man, or personalities) in order to redeem them from the influence of the "lower triangles," this is Sacrifice. This is also what may be called "Transvolution," that is a mode of evolution which, to the lower entities which are blessed by it, appears as an involution; a breaking "through" lower spheres in order to attract their denizens upward. Thus the Holy Pentagrams, sacrificing themselves in order to counteract the downward tendencies of physically awakened and mentally incipient Man, manifested upon Earth at the moment when the 4th Root-Race was nearing its preparatory stage, and implanted in Humanity the seed of the future cosmic vibration, the image of the Pentagram, a potential Soul. Everything in the Cosmos manifesting in three aspects, the souls as well as the personalities, are threefold, and, to the personal knowledge correspond a soul-knowledge, to the personal love a soul-love, to the personal activities a soul-activity. In other words the personality manifests knowledge, love and activity in their FOURTH stage of manifestations; the soul, or Ego, manifests knowledge, love and activity in their FIFTH stage of manifestation; this in terms of the scale of perfection of the Planetary Logos in the body of which we are atoms striving after synthetic perfection. Now the vibration 5 is related especially to this aspect of the triune Soul (the higher Triad of MAN, that is the new Planetary Logos, the body of whom we are building), which is Manas, or Mind, or Knowledge. Knowledge which is of the Soul manifests as Wisdom. This Wisdom which IS the Manas aspect of MAN that is God, this is THEO-SOPHIA. The embodiment of this 5, of this cosmic vibration attracting Humanity upward and futureward, is Theosophy, the Wisdom of the Soul of MAN, the becoming Logos. Theosophy, therefore, is a sacrificial gift from those Holy Pentagrams transvolving (for them evolving toward Bliss) on Earth, something that descended from above, that did not evolve, that, by its very nature, cannot ever evolve. It is a seed planted in the fermenting soil of the personally human mind, which personal mind is but the apex (at present) of the lunar-terrestrial evolution, the best thing which we, human ex-lunar monads, have been able to produce in our sphere of expression: the Planet Earth. the germ grows and becomes in its turn a tree, shedding its shadow upon another part of the soil, thus protecting it from being burnt by the physical Sun, opposing the sunshine. (Thus are the Pentagrams called by Sun-inspired religious: the Adversaries, the Rebels.) As the germs grow they take from the soil and give back to the soil; and this illustrates quite accurately the relation between Ego (germ and plant) and the Personality (the Soil). Theosophy therefore is a gift, and cannot be understood expect it be considered as such. All the powers of our personal humanity — or rather prae-humanity, as Man is a soul — could not evolve Theosophy. The greatest minds of earth — f divorced from or unlinked as yet with their soul — all together could not evolve Theosophy in this present Round; and should there be no struggling souls now on Earth, there would be in a way no Fifth Round for our Planet, as there would be no seeds (shista) for it. This means therefore that the way of approach to, and the attitude toward Theosophy MUST be essentially different from the way in which to study, say, Philosophy or Mathematics. We must come to Theosophy as we receive a gift. There is no gift which does not presuppose a Giver. Theosophy always presupposes a Guru, from the Maha-Guru down to the smallest "spiritual" teacher. This leads us to examine the way in which we come in contact with Theosophy, incarnation after incarnation. As the seen of wheat archetypally exists as a practically immutable reality, out of which are fashioned by deva-builders numberless grains of wheat which are planted every autumn, rest during the winter, germinate during spring, and fructify in the summer; so Theosophy archetypally IS as an unchangeable reality throughout the myriad of cycles of a Manvantara, and yet seeds of theosophy are planted in the human soil every fall, when a cycle decays and ends. Greater cycles there are, embracing whole zodiacal years, and smaller ones recurring every Century. As the Century enters its last or autumnal quarter, the seed is planted; the new Century begins after Christmas (6 days in the yearly cycle of 365 units, therefore about two years and a half in the century cycle), its Sun entering then Capricorn, the Gate of the Avatar. It is winter time. If the seed is not frozen by the cold winds of materialism (that is, if the seed has been planted deep enough into the soil and the old roots have been enough destroyed) then, as Spring begins, as Aries appears (the Creator), the germ pierces the earthly crust and ascends toward fruitfulness. Taurus gives its Life-power and direction (discrimination), Gemini form, Cancer water that causes growth, Leo warms its and brings the nuptial hour. Virgo liberates toward spirit, and starts the involution of the future essence, Libra marks the gift of the fruit to the Thirstied Ones, and with it Fall appears again, decay, and the new sowing for the next harvest. The four seasons correspond to the four quarters of the Century; every zodiacal sign represents a complete eight years cycle, plus the transition. But what is the Seed? The Seed is one among the numerous, essentially identical yet outwardly differentiated seeds that have their source and higher, four-dimensional reality in THE Seed, "that bread that came down from Heavens" as Jesus said symbolically. But the seed is also a Life, the Life of the Messenger, or messengers, who poured their very blood into it so that it might live, who moistened the soil of the field with the tears of sacrifice. Knowledge, as personalities know it, needs no blood, no tears, no Life to ripen. It is a weed, however beautiful it may be, beautiful but fruitless. Wisdom which is Love radiating through sacrifice: Theosophy — this wisdom CANNOT be separated from the Life, from the womb that bore it. Therefore, whenever Theosophy is found and the Messenger who "transmitted" it is recognized as such, the human being who is inwardly "hungry" for the "Bread of Life," who has tasted of all personal foods and has been satiated and nauseated by them, who longs in his heart and mind for Truth — if he wishes truly to be rejuvenated by Theosophy, must come to its study in an attitude of spiritual gratitude. However, two points are essentially to be considered in this respect: (1) No one can say truly that he has "found Theosophy," that he has found the Living Christ of Wisdom incarnated, except he has tested the finding over and over again in mental earnestness and a spirit of unemotional higher criticism; except he has asked for proofs, both objectively and subjectively and has not found them wanting. (2) This being done, the student or would-be disciple must not fail to differentiate within himself personal devotion from soul-devotion, reject the former and accept the latter; for the former breeds fanaticism and sectarianism. Soul-devotion is the aspiration of the spark of fire within towards reabsorption into the Flame whence it originated; it is an aspiration towards wholeness, rooted in that love which knows itself as independent from the changing personalities, recognize only as the offerings to be burnt upon the altar of sacramental activity. Having seen now what Theosophy is, what principle in Man will respond to it if there is a sufficient yearning in the lower man to neutralize the force of Inertia of its vehicle and principles, and how Theosophy must be recognized and approached, we must come now from the general to the particular and consider our present cycle and the position in which our generation stands. The Theosophical Society — in its original and now unexistent form — was founded by HPB, Olcott and Judge in the fall of 1875, the last quarter of the year ushering in the last quarter of the century. Of the three co-founders, HPB was the only source whereform teachings originally flowed. Olcott wrote practically nothing except his "Buddhist Catechism" and his own biography in connection with the T.S. Judge acknowledge in all his writings HPB as his Teacher and as the fountainhead of Theosophy in this present cycle. The Secret Doctrine (together with the other explanatory or subsidiary works of HPB) is therefore the Primeval Atom (ANU, the One) of the Soul-Wisdom incarnating through HPB in the Century; it is the Center of Soul-Wisdom, the radiating Pentagram, the focus from within which or through which ALL the Soul-energies that can possibly pervade this Century will be poured. It is the "Swayambhuva" of this little cosmos: our Century, the nucleolus of its Egoic egg. This, however, refers ONLY to the Ego of the Century, not to its personality. It does not mean that all cosmic or all creative energies which will build or are building this Century, its humanity, its culture, etc., must pass through HPB. This would be a non-sense. Forces are ceaselessly pouring into manifestation, movements, organisms, ideals are constantly formed (especially today as the centurial "spring" is at hand) which are essential, and rooted in the most high Energies. However, these do NOT pertain to the Ego, do NOT build the Ego or soul of the Century. They build its Personality. They are the reincarnation of the high or low Lunar Energies, that is of the Quaternary of our Planetary Logos, Not of his Higher Triad. All this being understood, we come back to our starting point. What is the duty of a Theosophical organism, lodge, or society? What is the Dharma of a Theosophist, as Theosophist? To TRANSMIT and RADIATE into the collective being of the Century the Soul-Energies GIVEN through and by HPB. This duty, therefore, is two-fold, applying as it were to two different types of beings: the Transmitters and the Radiators, that is those who diffuse the teachings and preserve their integrity, and those who permeate the undifferentiated, inorganic or soulless human material of the Century with the differentiated, organizing and spiritualizing soul-energies liberated by and focused through HPB in her dual aspect as soul and as personality. These two types of duty may or may not be included within the Lodge’s or Society’s scheme of activity. No Theosophical Movement however is complete or fruitful without both these duties being performed either by separate organizations or by individuals belonging to one all-embracing organization. 1st Ray — 1st Logos. 2nd Ray — 2nd Logos. 3rd Ray — Demiurge as a Host of Builders. 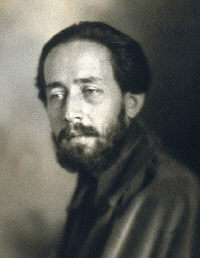 HPB was the Incarnator of the Theosophical Impulse of this Century (1875 - 1975). Judge, and those who pursued his work, were the Transmitters and Preservers. The work of the Creators, of those whose duty is was to radiate Theosophy into the fermenting material of the 20th Century, has been until now mostly a failure. Mind, the Demiurgic element, is neutral in essence. It may either be attracted by true Atma (Spiritual Will) or by its reflection in Matter (Personal Will). Those members of the Theosophical Movement whose dharma it was to incarnate this creative, demiurgic element, have mostly been attracted to the Atma of Matter (the God of Matter — Kali), following, as they did, the line of least resistance, which in our present Age leads to Matter and disintegration. As a result, Theosophy has become in their hands materialized; instead of expressing the Christos, it has presented in Its place the image of the Anti-Christos. Shiva has become Kali. And they, as Demiurges, have built with matter a material soul to the Century, instead of accomplishing their higher duty which was to build with the soul-energies brought to them by HPB, as spiritual Ego to their generation, and the following ones. The first generation of Creators having failed, it became necessary to reincarnate true, spiritual Theosophy, in order that the second generation of Creators (those of the centurial spring) have the chance to do their work, to do it against dangerous odds, yet with possible chance of success if strong, impersonal, sacrificing enough. The future will show the result. In the meantime the duty is clear and must be made clear to all. Every lodge, every individual Theosophist, must understand the present situation, the present dharma. Knowing what Theosophy is, and is not, every Theosophical Center — and it is the duty of every member to become one of those — must discriminate between Theosophical action, soul-creation, spiritual self-development on one hand — and personal, materially bent activities, kamic and sexualized creations, religious, priestly inspired and "secret" development. Having discriminated, it must act, not for the sake of accomplishing great deals, but for the sake of the Century, of which every one who has consciously linked himself with the Theosophical Movement is a potential soul-nucleus, a seed within the Great Seed of the Egoic Triad of Master-Souls, that collectively IS the nucleolus of the slowly manifesting Nucleus of the Future Race. Text and web design copyright © 2000 by Michael R. Meyer.